Explore the all new 2018 Toyota C-HR in Bozeman, MT at Toyota of Bozeman. Revolutionary style meets rebellious spirit with the uniquely expressive Toyota C-HR. 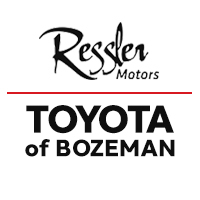 Embrace and express that bold spirit by taking a test drive at Toyota of Bozeman.